Genealogical details for James Poole have not been determined. He could have been the James Poole who died, aged 58, on 29 September 1919, son of Peter and Rhoda Poole, and was buried in the Anglican section of Rookwood Cemetery. If so, his wife was Elizabeth who died on 11 April 1952, aged 80. In 1866, James Poole, a painter and glazier, was in Liverpool Street. In October 1866, with Charles Patrick Clancy, a contractor, and Alexander Drease, a gasfitter, he secured a City Council contract for the erection of four stores in May Street. In 1885, James Poole, oil and colour man, had his premises at 127 William Street. By 1895, he was advertising as a painter and decorator of 116 William Street. 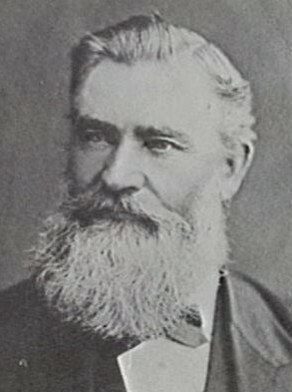 James Poole was Alderman for Fitzroy Ward, 1 December 1882 to 14 December 1888 when he was ousted by the Supreme Court. City of Sydney ArchivesL Photos: CRS 54/371; 54/410; 54/449; and AF.